The Microsoftâ€™s monopoly in the realm of Operating System is unchallengeable. It has received unbeatable success in dominating the Operating System landscape all over the globe. The software giant every time strives for improving the newer releases in terms of the preceding launches. Indeed, Microsoft understands the space for OS and thereby knows how to gain success in the current market. Of course, the tablet version of Microsoft namely Windows XP and Windows 7 might not be the best, although it tried its best, yet there lacks something. The sound example is that when you try to re-install the Windows XP Tablet as a fresh copy, it would never work. Indeed, the interface is surely not bad, yet it has bugs. When we consider Windows 8, the gestures seems an astonishing addition as the Firefox gestures are doing well owing to the complex functions they can perform very quickly. New Metro interface comes with Windows 8 will be the perfect way to provide a smooth experience to the the end user. The long time that took for booting up the OS is one of the biggest issues with the Windows users. That is why near instant on functionality would be introduced through the Windows 8. Even though, this problem seems minor, yet none like to wait for just booting. Thence, the software giant is working on a solution by providing must faster startup times to boot up the Windows. Hybrid boot makes your next Windows 8 computer boot up much faster and early leaks proven that it is working smoothly. Windows 8Microsoft introduce the System restore which will allows you to back date your computer for a earlier date in case your software or operating system crash. In Windows 8 they are going to introduce simple backup system that will allow the users to get access to even to a single archived or backed up file. It will be a essential tool that will save your hard work. Windows 8 build 7955 screen shots shows that it even allows the users to backup files in a external hard drive, USB or NAS. No matter all these fancy or smart options that you going to see with modern technology as they all depends on the power. Specially when it comes to the portable devices the battery life of the device is a key feature. How the operating system optimized its processors is a key point that directly affect the battery life. Early Windows 8 leaks show that Microsoft is working behind the seen to improve it as Widnows OS always got minus points for that area. It is speculated that Windows 8 will be backed by an application store. As a result, it would be feasible for Mac OS X Snow Leopard and the forthcoming â€˜Lionâ€™, which will be shipped with the built in App Store. Apart from this, the desktop OS will also have the addition of applications marketplaces. Microsoft has welcomed this positive change with open hands and arms. 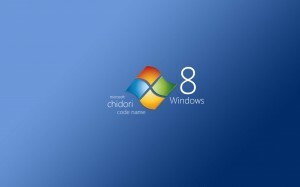 Check out the cool Windows 8 features leaked to the Internet.